Hi all! I'm back with a card for My Favorite Things November Release Countdown Day 4. 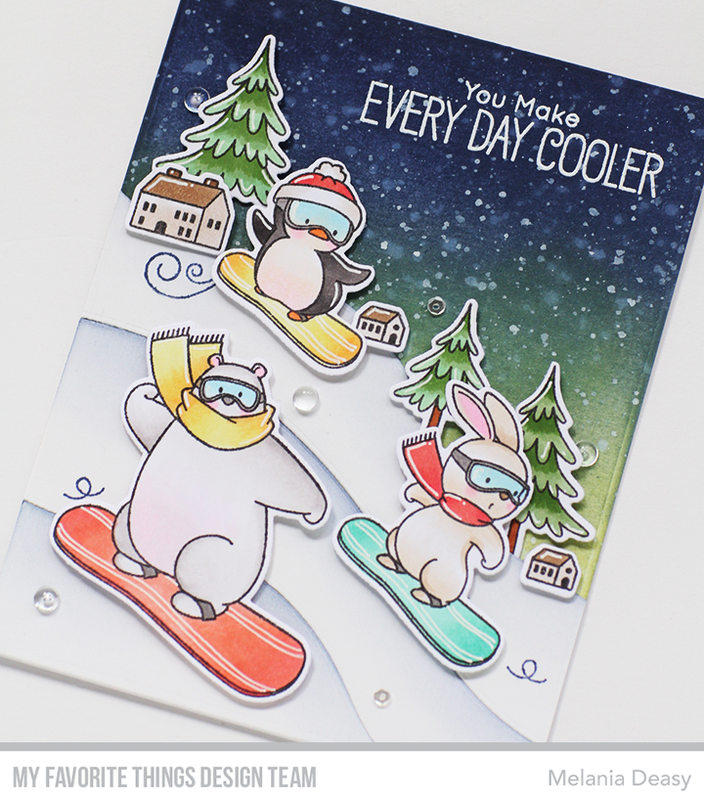 I play with the newest stamp set from Birdie Brown called Ready, Set, Snow. This stamp set is so cute and fun! I stamp then color the images using copic then die cut it. The sentiment is from white embossing powder. I add some clear droplets and clear sequins for the embellishment. Love it, love it! I love the colors, the layout- I just love everything about this awesome card! Awesome stamp set and background! Love your card! I like your layout and the colors you chose for the background. Great Job! Great design and color. Love it. That's the perfect combination of a pretty scene and "action". Adorable! 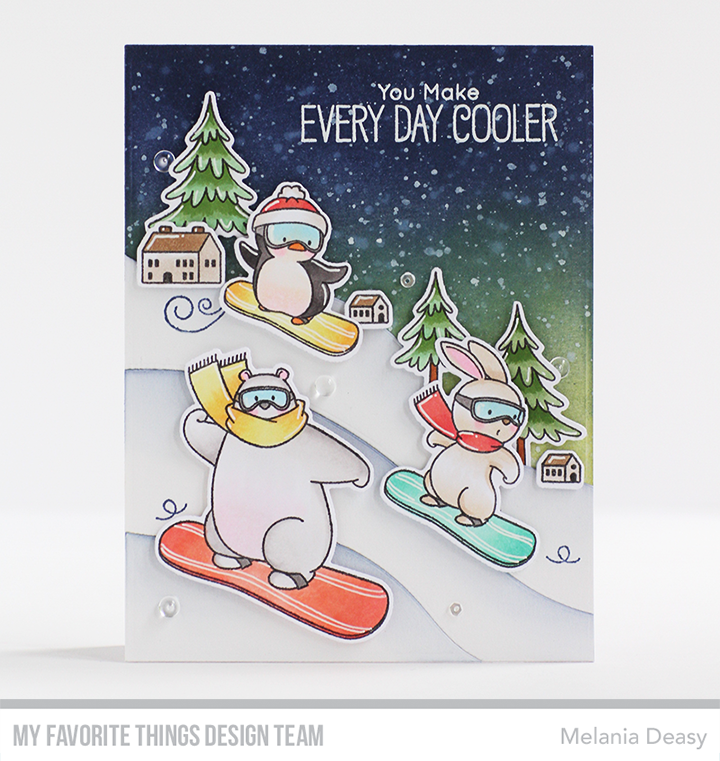 What a terrific fun card showing off the fun snowboarders! 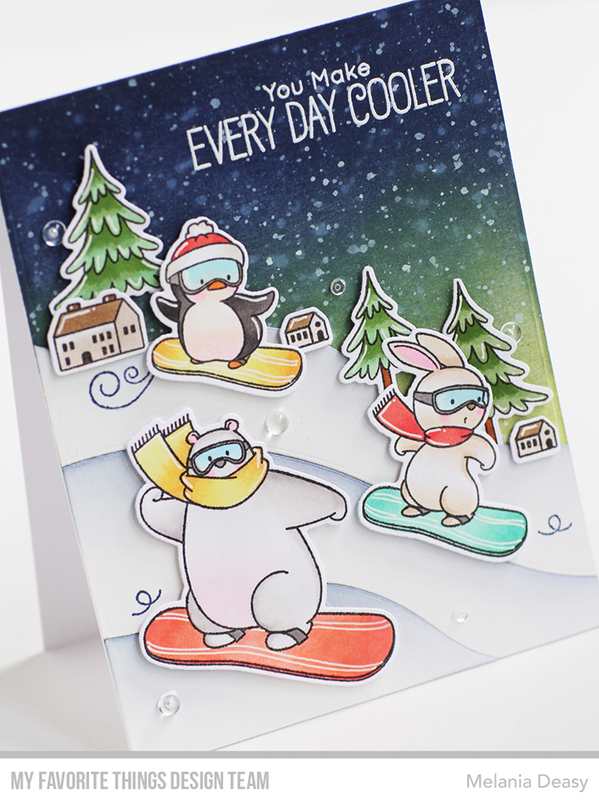 You've made a fantastic scene in the background of the dashing, snowboarding critters. Great job.